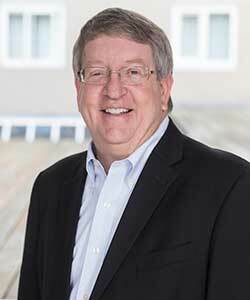 Dr. Cochran is currently Professor and Chairman of the Department of Periodontics at The University of Texas Health Science Center at San Antonio, School of Dentistry. He is a Board Certified Periodontist and is a past President of the American Academy of Periodontology and the Academy of Osseointegration. He is a fellow of the American College of Dentistry, the International College of Dentistry, the Academy of Osseointegration and the International Team for Implantology (ITI). 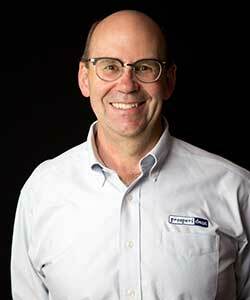 Dr. Cochran is Past President of the ITI and is a member of the Board of Directors of the ITI. Dr. Cochran is an active basic science and clinical researcher who has received funding from both the NIH-NIDR and private industry. Dr. Cochran received an honorable doctorate degree from the University of Bern due to his contribution to implant dentistry in 2010. Disclosure of relevant financial relationships: Grants/Research Support: LaunchPad Medical, Maxillent, Straumann; Consultant: LaunchPad Medical, Maxillent, Straumann; Stock Shareholder: LaunchPad Medical. It has now become obvious that the bone loss around teeth is due to inflammation initiated by microbial plaque and that oral inflammation can contribute to the systemic inflammatory load with subsequent consequences in our patients. A goal for Periodontists has been for many years and, continues to be, to reduce the inflammatory burden on the host. Whether this is performed by non-surgical or surgical techniques, our goal is to minimize oral inflammation. Does the placement of a dental implant to replace a tooth create an environment for inflammation? When a tooth or teeth are replaced with a dental implant and restoration, multiple components, which create interfaces between the components, are utilized. If these interfaces become contaminated with bacteria and consequently inflammation, the presence of and the location of the inflammation may have an affect on the host. As such one might consider if such inflammation has any consequence for the patient and secondly, is there a way to minimize the consequence(s). Determine what types of implant interfaces become contaminated with bacteria. Determine if there is/are consequence(s) to having inflammation around implant interfaces. Understand marginal bone remodeling around dental implants. New bone formation requires a solid base, blood supply and protected space. These represent some of the biological prerequisites needed in order to understand clinical indications and their predictability for bone formation. A system to evaluate clinical indications for bone formation will be presented. In addition, bone formation with bone graft materials will be reviewed including new materials not yet approved by the Food and Drug Administration. Future translational clinical trials will determine the efficacy of the new materials for patient treatment. Review the biological requirements for bone formation. Understand a classification system for clinical indications for bone regeneration. Appreciate that new bone graft materials are being developed for translation to patient care. An accomplished speaker, author and the CEO of Prosperident, the world’s largest firm investigating financial crimes against dentists, David Harris believes in education through humor and his entertaining and insightful presentation style have made him a favorite speaker at regional, national and international dental conferences. He is a licensed private investigator who is “dual certified” in fraud investigation, possessing the two most recognized fraud investigation designations. David is also a CPA and has a graduate degree in applied mathematics. David loves asking doctors the question: do you really know who’s in charge of your practice’s financial security? The answer may just surprise you! For over 25 years, David’s vast investigative experience, coupled with his own misadventures as a miscreant youth, has given him a unique insight into the mindset and actions of embezzlers. David delivers enlightening and pertinent information regarding who is actually in control of your practice’s finances and what you need to do to detect and eliminate the people who want to steal from you. Disclosure of relevant financial relationships: Stock Shareholder: Prosperident Inc.
What makes us ignore our “gut feelings” when it comes to our money? Have you ever felt that your income wasn’t a true reflection of the hours you work? Have you ever dismissed a feeling of “something isn’t right here,” when asking an employee to explain a financial report or billing question? Well, Doctor, it’s time to examine the things that make you think, “Hmmm…” Learn how to detect and safely eliminate embezzlement in your practice. This eye-opening presentation is unlike anything you’ve seen before! Because specific embezzlement methodologies will be openly discussed, this presentation is only suitable for practice owners and other dentists (and possibly their spouses, at the discretion of the host). Learn what causes embezzlement in dental practices. Review the limitations of popular, conventional prevention strategies. Understand how a dentist can determine whether embezzlement is happening. Review important dos and don’ts if embezzlement is suspected or discovered AND the top ten actions to take for monitoring your practice for embezzlement. 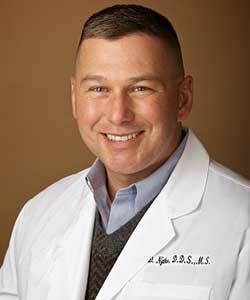 A native of Chicago, Illinois, Dr. Steven Nytko completed his B.S. degree in Biology in 1986 and subsequently earned a Master of Science degree in Kinesiology at the University of Illinois - Urbana-Champaign. He earned his Doctorate of Dental Surgery degree at the University of Illinois - Chicago in 1991, where he also completed his specialty certificate in Periodontology in 1994. Board certified by the American Board of Periodontology since 1998. Dr. Nytko has trained over 200 resident and non-resident dentists throughout his career and has been an innovator and leader in regenerative surgical techniques for nearly 25 years. He is a member of the Expert Council for Geistlich Fibro-Gide. As our periodontal treatment paradigms continually evolve, we are in a new era of oral soft tissue reconstruction. Today, our reconstructive options are greater than ever.